Here is my start on Mojave. 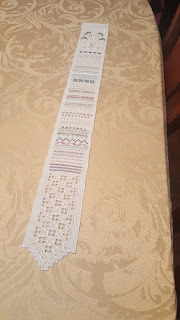 I had hoped to get a bit more done but I was helping a friend of mom's move this weekend so I didn't get any stitching time in Saturday until late and by then I was too tired to do much. 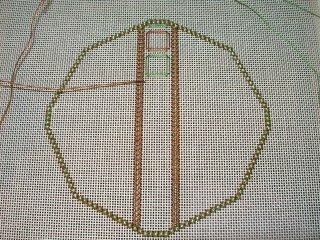 The smyrna border also seemed to take forever as its done in 2 journeys, the first with perle cotton and the second with kreinik braid. 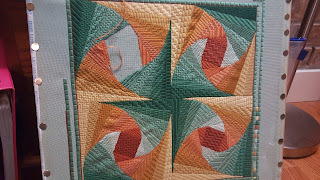 The start I have on the center row is the first of 8 journeys to make the finished look it will have, yikes! 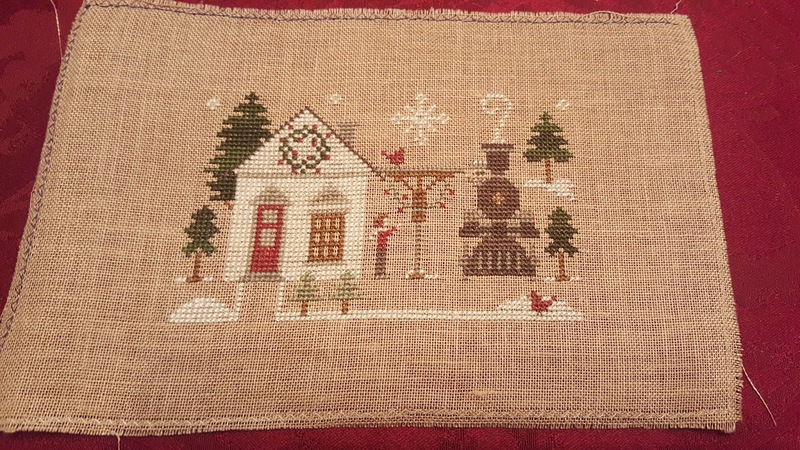 I'm used to layered stitches in needlepoint but on MY! It also makes it more entertaining that its done in multiple colors. The alternating color you see carries to most of the other layers as well so I have 2 needles going to do this one. 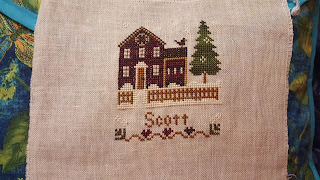 The 2 rows of vandyke stitch were the same as well. 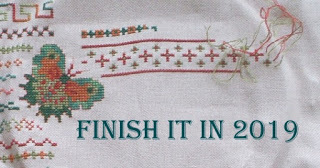 The main stitch is done in perle again with a small horizontal stitch in kreink to "tie down" the intersecting points. Apparently this is going to be a trend in this design. Now that I think about it there was quite a bit of 2 needle work in Coronation, the difference was it was more couching than actual stitches so I didn't realize it. Stitching aside my weekend was interesting to say the least. It all started Saturday morning when 3 deer wandered into our yard. There are photos on my other blog. That might not sound so odd but I live in the city, deer don't generally hang out in the city where its densely populated but apparently these 3 didn't get the memo :) Thanks again to all of you who visit and leave comments. I appreciate them very much :) Hope you all had great weekends! Great start. I love the pieces you do. 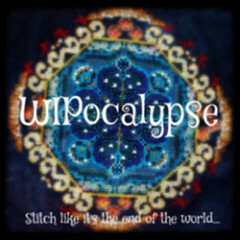 Great stitching.